Overview: The aim is to provide students with practical experience of the role of regulators in protecting the public from false and misleading therapeutic claims by product sponsors and health practitioners. 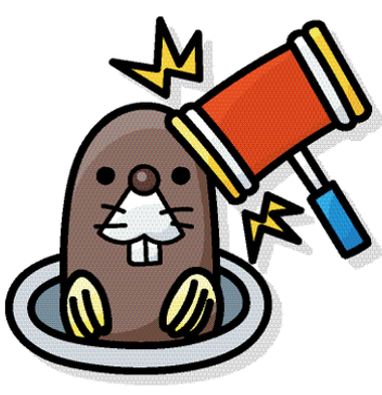 Why “Whack-a-mole”: Because, given deficiencies in the current regulatory system, no sooner does one miscreant get “whacked” than another (or the same one) pops up! Hence our seminar, “The Advertising of Therapeutic Goods and Services (and its regulation)“, Monash Law Chambers, Sept 8, 2017. Methodology: Evaluate the evidence for questionable claims made about therapeutic goods and services and, if appropriate, submit a complaint to the appropriate regulator. Feel free to submit URLs of questionable claims for future students to assess by leaving a reply (below) or emailing me direct: ken.harvey@medreach.com.au. This entry was posted in Complementary medicine, Education, Medicine policy, Pharmaceutical Promotion and tagged ACCC, AHPRA, FSANZ, questionable claims, Regulatory Reform, Seminar, TGA, TGACRP, Therapeutic Goods Advertising Code, Whack-a-mole. Bookmark the permalink.